pool time, graduation parties, picnics and more. I just love this time of year! at the beach. 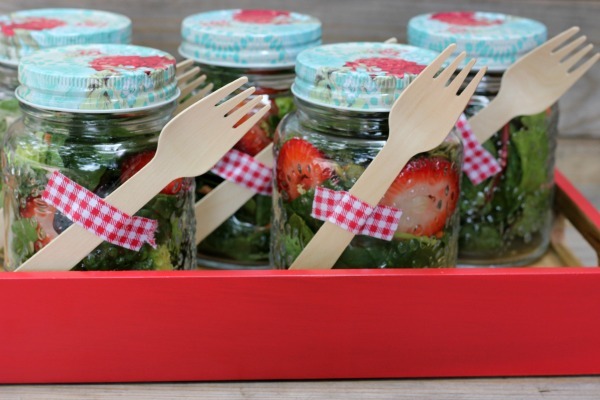 Jars pack easily in a cooler and are ready to eat when you are. medley of kale, spinach, chard and carrots. 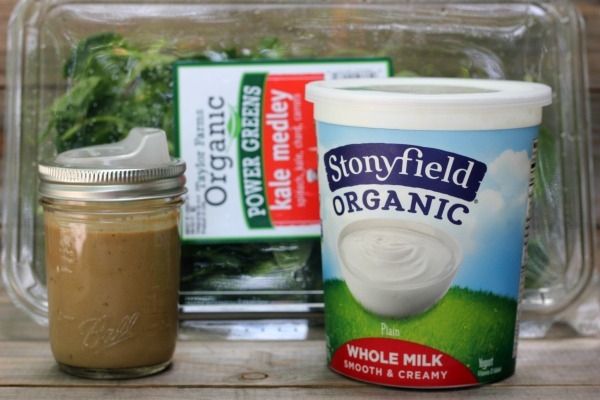 This blend is also great for smoothies! Taylor Farms is a family owned farming operation based out of Salinas, California. They offer a variety of salad kits, organic vegetables, snack trays and more. salad blends are so fresh and delicious and perfect for salad in a jar. 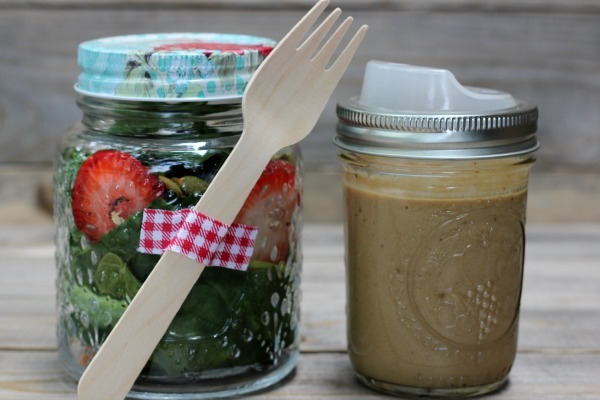 A salad without dressing can be pretty dull, so don't forget to pack the salad dressing! a lid and shake. That's it! 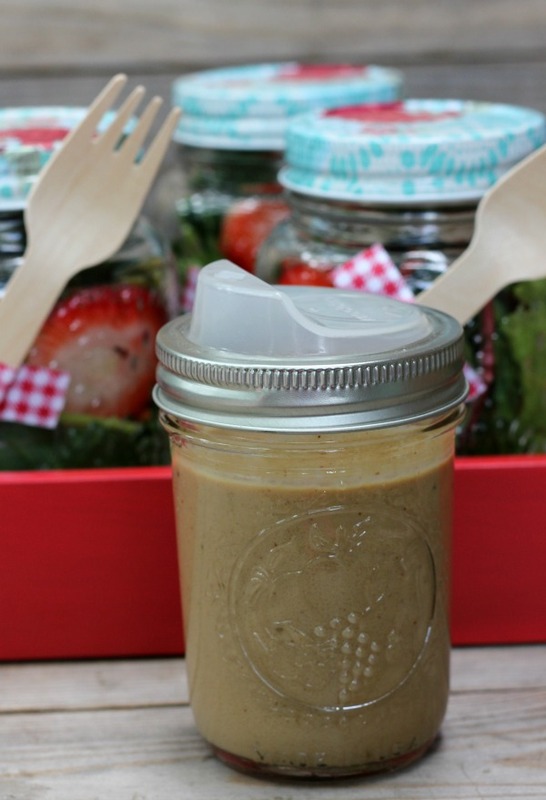 Make some salad in a jar with a creamy yogurt dressing and go on a picnic today! 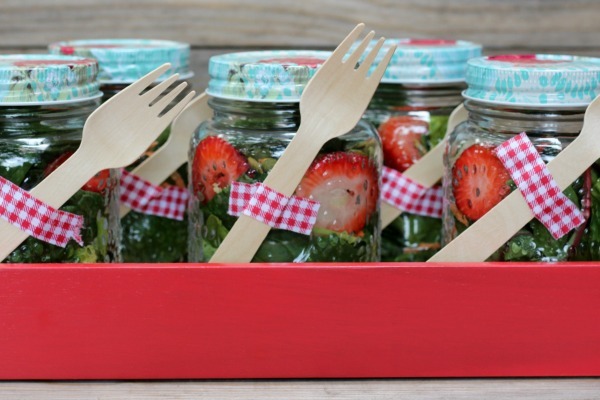 Layer greens, strawberries, blueberries and cucumber in glass jars. Seal with lid until ready to eat. Combine ingredients in a mason jar. Top with lid and shake until combined. 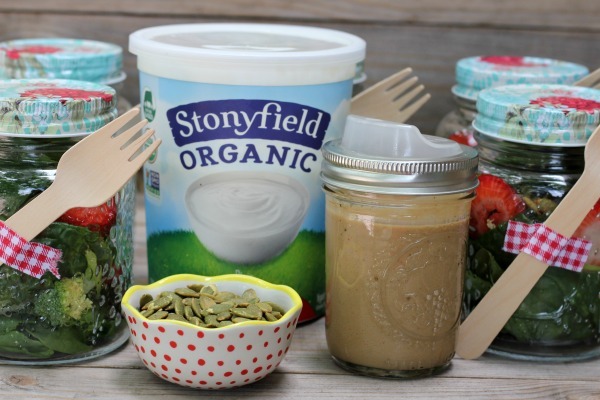 This post is in partnership with Stonyfield and Taylor Farms.